The head of the Ministry of Foreign Affairs and Trade today announced proposals to cut 305 jobs. 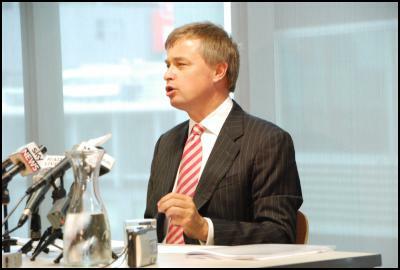 The Chief Executive, John Allen, outlined key areas of change. He described the proposals as an attempt to create a “flexible, fit for purpose, deeply expert ministry”. The proposals aim to shift from a rotational system for diplomatic positions to one centred on permanent roles. The Ministry of Foreign Affairs and Trade has released to staff a series of proposed changes in the way the Ministry wants to carry out its key tasks in the future. “Staff have a month to provide comments on the proposals and their views will be considered carefully before decisions are made,” said Ministry of Foreign Affairs and Trade Chief Executive John Allen. 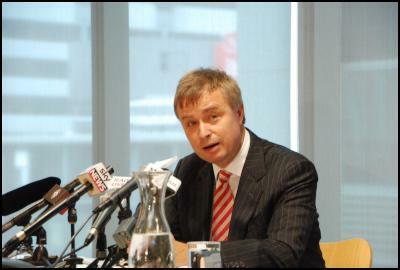 “The world in which we operate, and the interests of New Zealand have been changing dramatically. Where we concentrate our efforts, the way in which we carry out our tasks and the tools we use to carry them out have to change as well. The changes would reduce the number of staff required by the Ministry. Most staff potentially affected are in support or administrative positions. The total number of roles allocated to the Ministry’s New Zealand staff here and overseas would be reduced by 169. Of these, 58 are currently vacant. In addition 27 new roles would be created for which staff affected by the reductions could apply. Overseas roles for locally engaged staff would be reduced by 136. “While we are a small country with limited resources, as a trading nation we have interests that must be represented all over the world. The changes recognise that the nature of those interests and priorities evolve as trade flows change and new international issues emerge. The Ministry of Foreign Affairs and Trade has today released a comprehensive set of proposed changes for consultation with staff following months of work by senior management, led by Chief Executive John Allen. “We are a small trading nation that earns $58b per year from selling goods and services to over 170 countries. Over recent years we have seen dramatic changes to the location and profiles of our markets, and we can expect those changes to continue. The consultation document prepared by the Ministry leadership is a constructive attempt to develop a Ministry that can serve New Zealand’s interests in a changing world. “This is an internal staff consultation process led by senior management of the Ministry. It will be critical that when the final decisions are made the Ministry is able to maintain its talent base, in which New Zealand taxpayers have made a substantial investment. That underlines the need for a consultation process that is open and genuine. “At the same time the Government will have discussions with the Ministry to ensure that its priorities are taken into account in the final decisions. For that reason I do not intend to engage in detailed discussions about the proposed changes until the process of consulting staff is completed,” said Mr McCully. Sources have revealed to Labour that 305 people, including 63 in policy positions, are to lose their jobs at the Ministry of Foreign Affairs and Trade, Labour’s Foreign Affairs spokesperson Phil Goff says. The Government is due to announce these figures shortly. “This represents the biggest cuts ever in the Foreign Affairs and Trade service. They are the direct result of National government demands that the service cuts $40 million a year from its budget. “However they dress it up, this is a gutting of core Ministry staff,” Phil Goff said. “It will hugely damage the capacity and performance of a Ministry that has a reputation for competency, effectiveness and commitment. “The dismissal of 305 staff represents one in four Ministry employees. It will undermine the ability of the Ministry to carry out its basic functions of advancing and guarding New Zealand’s security and trade interests abroad. “New Zealanders rely on this service to protect their families and defend and promote our safety and standard of living. “This decision is disastrous at a time when New Zealand’s national interests are at risk from an unstable world. The Government has ignored the Ministry’s warning that such changes carry significant risks,” Phil Goff said.